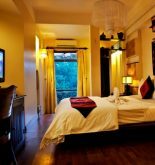 Royal Riverside Hotel Hoi An is a perfect destination for enjoying Hoi An and the surrounding places because of being located in Hoi An old quarter where is away the bustle of city about 0,5 km. With its convenient location, hotel can approach easily with the city’s famous tourist destinations. That means it is extremely convenient and easy for you to approach the big tourist attractions of the city owing to location of this four stars hotel. 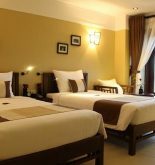 At Royal Riverside Hotel Hoi An, its perfect service and up-to-date equipment will create your unforgettable vacation. The top features of hotel include the meeting and seeing off tourist service at hotel or airport, wifi in the public area and car park. 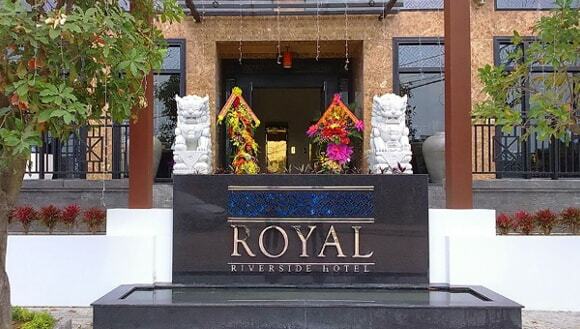 The quality of Royal Riverside Hotel Hoi An hotel is reflected thanks to each specific room. For instance, tourists are satisfied with hotel due to they are used some equipment as air-conditioner, hair-dryer, balcony and television. It also bring the variety of recreational facilities such as spa, indoor pool, garden, massage and gym. 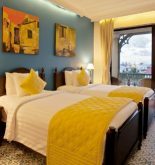 In short, Royal Riverside Hotel Hoi An is a wise choice for tourist when visiting Hoi An where bring them a relaxing and comfortable vacation.